Item is a collage of the 1913 women graduates of Dalhousie University. 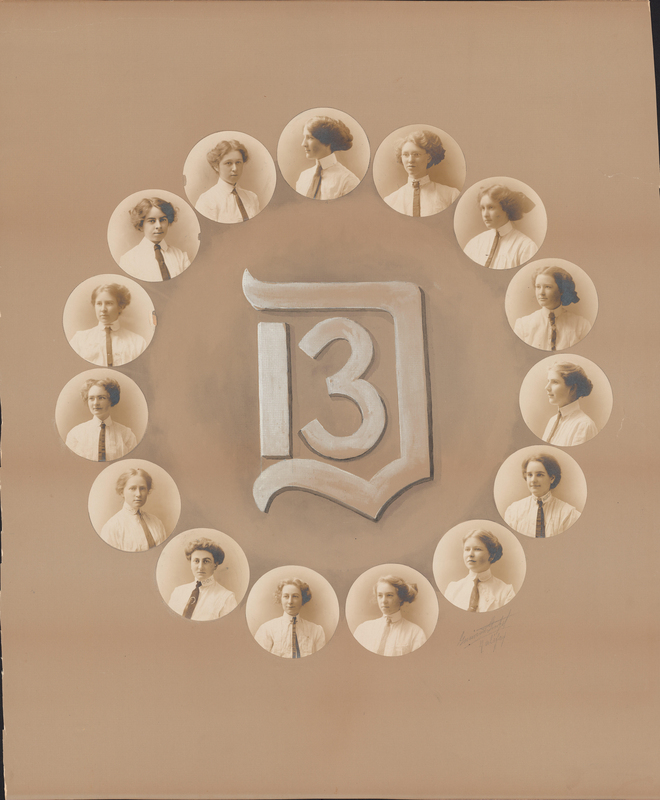 The collage consists of photographs of Louise Clayton, Gladys Sidley, and other students arranged in a circle around a large emblem made up of the letter "D" and the number 13. Photographs are faded. Matboard is cut irregularly on the right and left sides. A diagram with the names of two of the students in included with the item.